An asteroid the size of five football fields is approaching Earth and is expected to pass by on Monday. It will be visible through strong binoculars – definitely worth a look. The next time such an asteroid comes this close again will be in 2027. 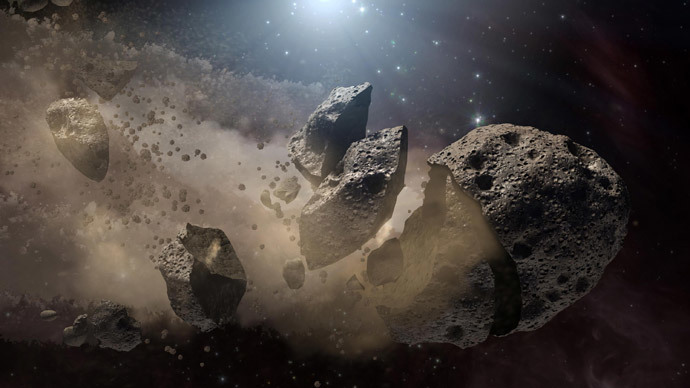 At the closest point to the Earth, asteroid 2004 BL86 will be at a distance of 1.2 million kilometers which – approximately three times the distance from the Earth to the moon. Estimated to be 0.5 km in diameter, it is classified by scientists as potentially dangerous. A space object is considered “potentially dangerous” if it crosses the Earth's orbit at a distance of less than 0.05 AU (approximately 19.5 distances from the Earth to the Moon), and if its diameter exceeds 100-150 meters. Objects of this size are large enough to cause unprecedented destruction, or generate a tsunami in case they fall into the ocean. However, according to astronomers, there is no threat of the object colliding with our planet this time. “While it poses no threat to Earth for the foreseeable future, it’s a relatively close approach by a relatively large asteroid, so it provides us a unique opportunity to observe and learn more,” Don Yeomans from NASA's Near Earth Object Program at the Jet Propulsion Laboratory said in a statement. It is very rare that such a huge space body comes this close to Earth. The next time an asteroid might be passing by will be in 2027, when 1999 AN10 flies past Earth. As for 2004 BL86 itself, it can be monitored from Earth for another 200 years. Astronomers strongly recommend trying to catch this unique opportunity to spot an asteroid in the sky. It will be possible on January 26 between 11:07 pm and 11:52 pm ET (04:07 and 04:52 GMT). It will be best seen in the Americas, Europe, and Africa. Amateur astronomers will be able to observe it with small telescopes and even strong binoculars. Numerous observatories all over the world will use this opportunity to learn something new about 2004 BL86. NASA's Deep Space Network antenna at Goldstone, California, and the Arecibo Observatory in Puerto Rico will try to procure scientific data and radar-generated images of the asteroid while it is in its closest position to the Earth. 2004 BL86 was discovered on January 30, 2004, by the Lincoln Near-Earth Asteroid Research (LINEAR), responsible for the majority of asteroid discoveries from 1998 until 2005, when it was overtaken by the Catalina Sky Survey (CSS). The asteroid orbits the Sun every 1.84 years.